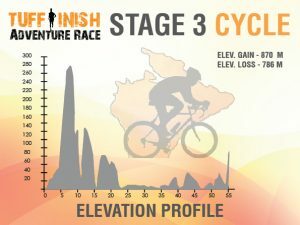 Don’t get dragged down with a boring training plan, mix it up with running and cycling and set our Shore 2 Summit Adventure Race as your 10 week GOAL. So on top of experiencing an amazing event enjoy the health benefits and fitness journey that gets you ready for it. Event distances to suit all fitness levels so BOOK NOW on the Early Bird plan. Time to blow the Christmas cobwebs off and get the mindset sorted to get the body into gear. Planning ahead to make 2019 an even better year? 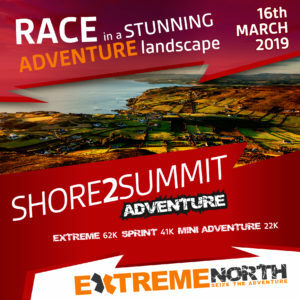 then Extreme North have a perfect range of events for 2019 to help you achieve your Goal while feeling healthier and fitter as you get into your fitness regime. Book now and keep focused on your Goal. 2019! make it a good one. We are still finalising and adding trimmings to the TUFF-INISH as we intend this to be one of Irelands finest. We don’t do “Soft” so you’ll know you’ve been in and completed an amazing challenge. We don’t do “Mean” so your rewards will match your efforts with Medals, merchandise and hospitality, that’s a promise. This will be an action packed day and that includes before and after the event.